You do as the instructor tells you to, pedalling madly down the grassy slope. And sure enough, we have lift off. The paraglider dips a bit before picking up speed and rising into the air. Nothing prepares you for the actual feeling of flying. There you are, dangling above Phewa Lake 1,500m below, and the city of Pokhara sprawled out beneath your feet. You clutch tightly onto the safety harness as the pilot tugs at the control cables, soaring with the updraft as the altimeter beeps. Everything looks different from above: the contoured rice terraces etched to the hillsides, cars and people way down below like insects, and clusters of buildings that look unimaginably tiny. And to the north, the incredibly high icy ramparts of the Annapurnas. If you are scared of heights, or of flying, look at it this way: paragliding is the least of three evils with the other two being bungee jumping and skydiving. After a brief take-off run downhill, you have the reassuring feeling of the parachute wing holding you aloft and guided by an experienced pilot. It is leisurely and relaxed, with lots of time to admire the scenery and the sensation of flying. The pilot heads off to where the eagles and hawks are soaring because the birds intuitively know where the thermals are. This is a ‘bird’s eye view’ in more ways than one. 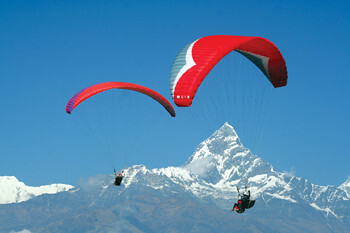 It is the combination of adventure and scenery that makes Pokhara a prime destination in the world for paragliding. The glistening surface of Phewa comes up to meet you and before you know it the paraglider flares and all four feet of the pilot and passenger once more touch the ground softly. The industry has taken off, with as many paragliding companies and on any given morning there can be as many as 25 colourful paragliders soaring above Sarangkot. It is a must-try and costs about Rs 7,500 for a 20-30 minute tandem flight, the tandem flight lasting about half-an-hour. 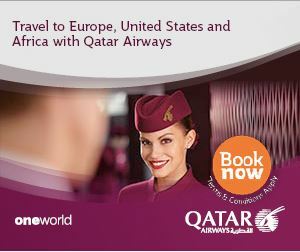 Prices increase for varying types and lengths of flights. A set of photographs and a video of your experience can also be bought for Rs 1,400 but you may also take your own camera and photos if you dare. If you are prone to motion sickness, remember to take your pills beforehand. If you have already felt the thrill of paragliding, bungee jumped with the Bhote Koshi beneath you, and even lowered yourself by careening down a waterfall, then here is one more adventure to add to your list. 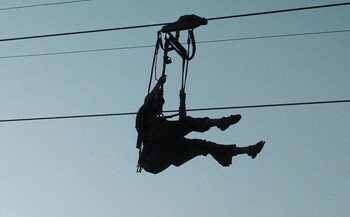 On the north of Sarangkot, 15km from Lakeside, is the country’s first and only zip line launch site. After being strapped on a seat which is attached onto the cable, you will find yourself whizzing past the raging Seti River with the wind gushing in your face. As you inch closer to Hemja in less than two minutes, the magnetic breaking system brings the seat to a halt. It is advisable to listen to the safety instructions properly to avoid a bumpy landing. Constructed by Highground adventures, Zip Flyer Nepal has been in operation for almost a year now during which more than 3,000 people have experienced the thrilling 2,000 feet drop from Sarangkot to Hemja at speeds of over 140km per hour. 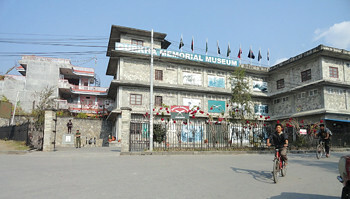 Highly informative and thought-provoking, the Gurkha Memorial Museum is a great alternative to the mysticism and adventure Pokhara is well known for. Perfect for an afternoon indoors, it does great justice in honouring the Gurkhas, known as the world’s bravest soldiers. The museum boasts three storeys of galleries replete with photographs, displays, and descriptions of Gurkha paraphernalia. While the first storey showcases the riveting history of the soldiers from their humble beginnings in 1815 through their many action-packed campaigns including the First World War, the Second World War, and the Gulf War, the second honours each of the famous Gurkha infantry regiments. The flag of each regiment hangs proudly over the respective exhibit which details the customs, traditions, and practices, providing an insight into the military life. The third storey belongs to the Gurkha specialists. It has displays dedicated to each group such as the engineers, signals, and transport regiments and also exhibits on the Band of the Brigade of Gurkhas, the Gurkha Contingent of the Singapore Police Force, the Gurkha Independent Parachute Company, the Gurkha Military Police, and the Gurkha Dog Company. The top floor is a library which may be accessed with a small fee. While walking through the gallery, one is accompanied by sounds of horses galloping, troops marching and other battle sounds, providing a highly atmospheric experience as one traces the lives of the amazing Gurkha soldiers. There is also a souvenir shop on the ground level if you are in the mood for some shopping. Everything from regimental plaques to books, postcards and even service khukuris, can be found here. All proceeds from the sale of these items go towards the upkeep of this wonderful museum. At the feet of Machhapuchhre overlooking the Annapurna range, sits the International Mountaineering Museum (IIM), dedicated to the mountain people, the mountains of the world, and mountaineering. 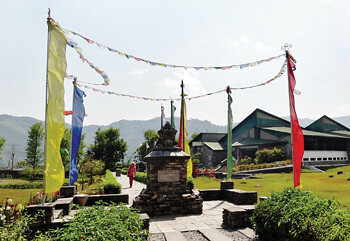 The Hall of Mountain People showcases the social and cultural life of Thakalis and Tamangs, as well as people from around the world. Complete with photographs and traditional costumes, the exhibition provides a deeper insight into their lives. A video room also screens documentaries of the mountain people and compares the Alpine inhabitants of both Europe and Nepal. The Hall of Mountains of the World is next, displaying the history, geographical information, and flora and fauna of Nepal’s mountains alongside other mountains of the world. Rock hounds will enjoy the geological section featuring rock samples that were part of the mountain range’s formation. Diverse samples of flora and fauna are displayed in photographs and stuffed replicas. The final hall, the Hall of Mountain Activities is dedicated to adventure junkies. All kinds of equipment and adventure gear needed to scale mountains are on display here. Great mountaineers from Edmund Hillary and Tenzing Norgay to French expedition team leader Maurice Herzog have been given a place of honour. Before leaving the museum, visitors stroll through the Hall of Associates’ Exhibition dedicated to the preservation of the mountain people’s culture and environment. There is also a traditional Buddhist Lakhang prayer room near the exit for those who wish to offer prayers. Also worth a look is The Living Museum outside the main building showcasing the social and cultural life of Nepal’s indigenous population. Whether you are an anthropologist, adventure-junkie, geography geek or just curious about mountains in general, IMM is fun for everyone! Set aside an entire day for a proper visit as the museum is huge, but don’t take too long as the gift shop closes a little earlier than the museum. 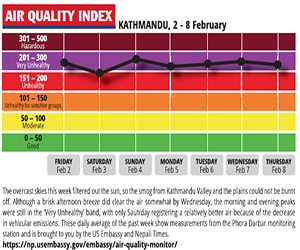 Also, try to plan a visit around the load shedding schedule as the premises gets dark when the lights are out. 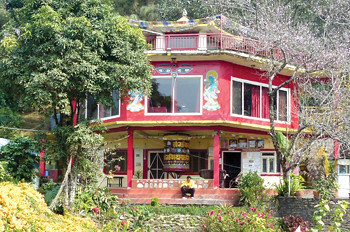 Tucked on a quiet hillside overlooking Phewa lake, Ganden Yiga Chozin Buddhist Meditation and Retreat Centre was built in 1993 as a sanctuary for people to learn Tibetan Buddhism, meditate, and transform their minds and hearts for others’ benefit. The weekend course on Buddhist philosophy with meditation and hatha yoga is one of the most sought after programs at the centre. Taught by Buddhist monks and nuns, this course takes place in the Gompa Room, a traditional Buddhist setting with full length windows overlooking the picturesque lake. The centre is part of the Foundation for the Preservation of the Mahayana Tradition (FPMT), a worldwide organisation of over 100 Buddhist centres and activities directed by Lama Zopa Rinpoche. According to the all-accepting doctrine of Mahayana Buddhism, the retreat welcomes people from all religions and is a testimony of the harmony that exists among the diverse people of Nepal. Sisters Lucky, Dicky, and Nicky Chhetri, who were managing a lodge and restaurant in Pokhara, had heard enough harrowing accounts about harassment faced by female trekkers at the hands of their male guides. So in 1998 they decided to start a trekking agency run exclusively by women for female travellers. However, their journey was an uphill battle where they had to overcome immense social obstacles. 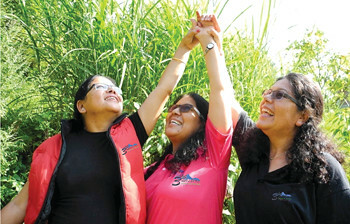 In the past 15 years, their company, 3 Sisters Adventure Trekking, has trained more than 1,700 Nepali women from disadvantaged communities to work as guides from the Annapurna circuit to Bhutan. Trainees take a month long class before they set out to the field under supervision. After spending five months in the field, they are promoted to assistants. After completing the course, the women have a choice of either staying on and working for the company or using their skills elsewhere. “We knew the only way to change the status of women in Nepal is by providing them education and employment,” says Nicky. The trekking company is part of a larger initiative managed by the Chhetri sisters, Empowering Women of Nepal (EWN), which also conducts community development training in the less developed regions of west Nepal. EWN has established a midwife scholarship fund and runs a children’s home at the trekking centre in Pokhara. 3 Sisters has won several awards, including the Virgin Holidays Responsible Tourism Award 2012 and Geotourism Challenge sponsored by Ashoka’s Changemakers and National Geographic for its exceptional service and practice of social responsibility.